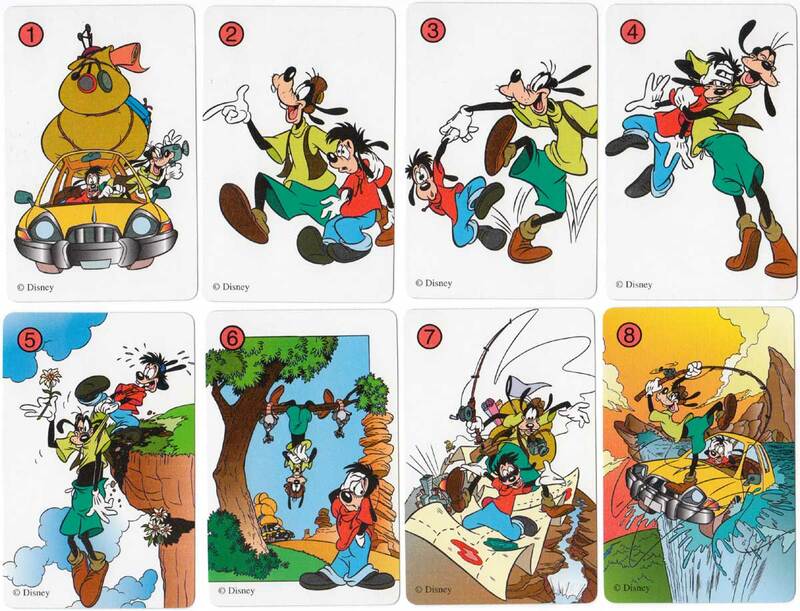 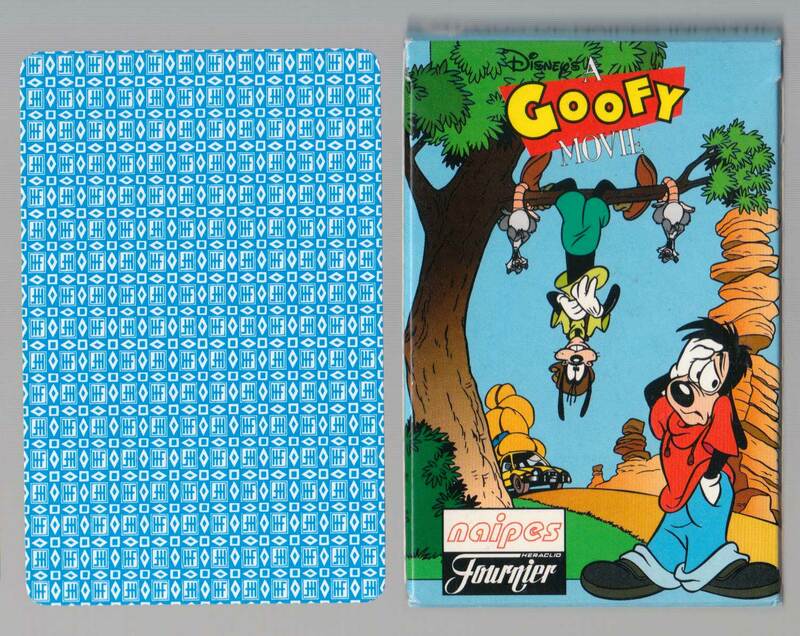 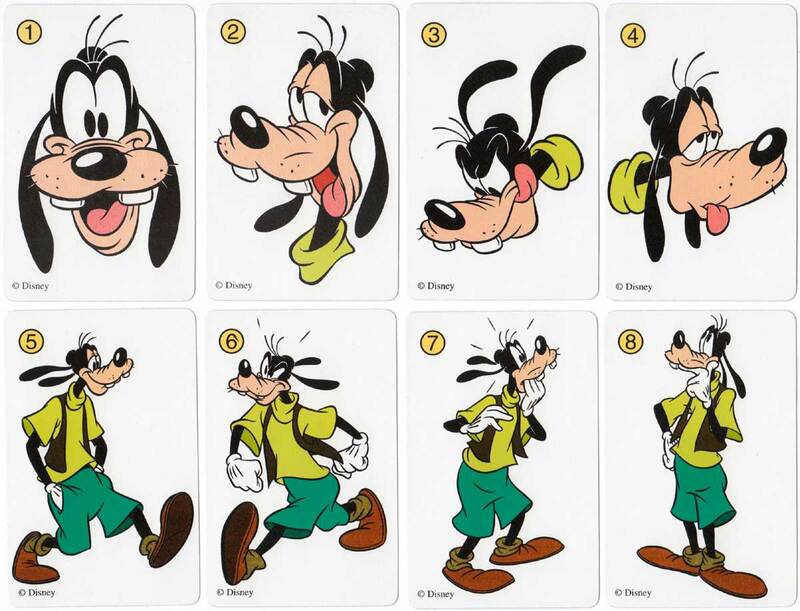 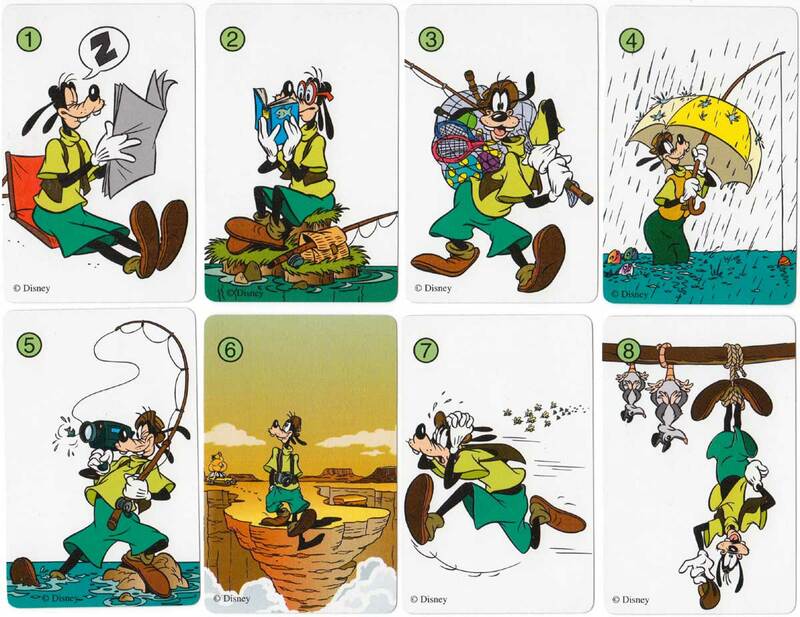 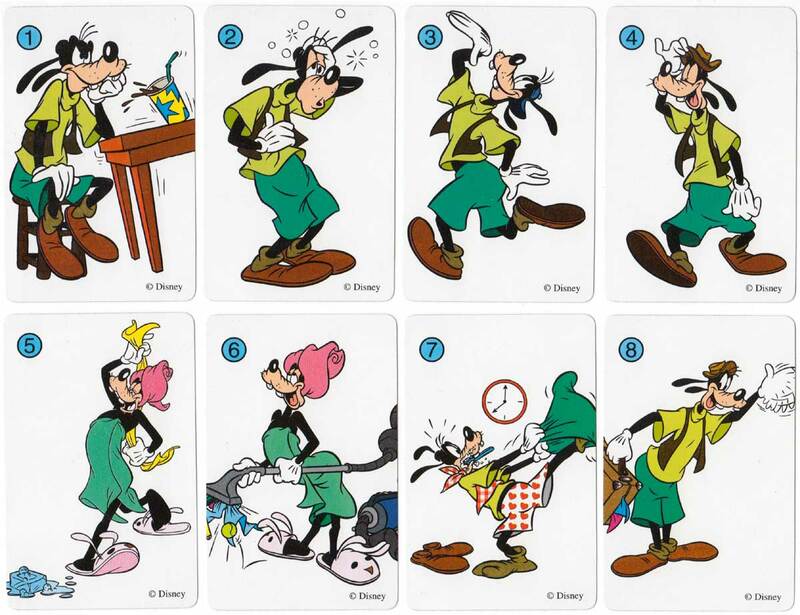 Above: A Goofy Movie card game published by Heraclio Fournier, 1996. 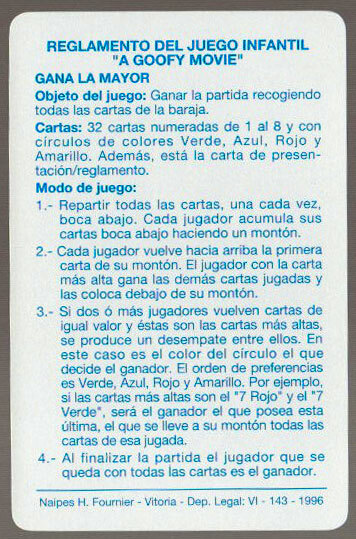 32 cards in box + rules. 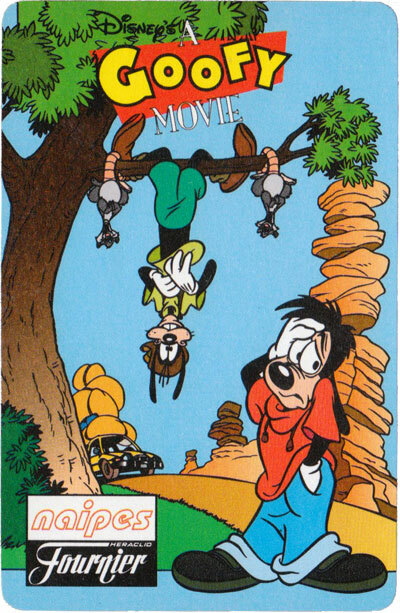 From the collection of Rex Pitts.